WarnerMedia will be shutting down its FilmStruck streaming service at the end of next month, Turner and Warner Bros. Digital Networks announced on Friday. FilmStruck is the third WarnerMedia property that will close in the coming months, joining anime-centric DramaFever and entertainment media company SuperDeluxe. A source familiar with WarnerMedia’s strategy said despite that additive, smaller niche services like FilmStruck and DramaFever are no longer seen as a sustaining business model for the company as it looks to focus on its broader streaming service set to launch next year. Launched in 2016, FilmStruck — which was developed and ran by Turner Classic Movies — offered its subscribers a collection of more than 1,500 classic, indie, foreign and cult films. Earlier this year, the $6.99 per month service added Warner Bros.’ library of classic films after Warner shut down its Archive service in March. All current FilmStruck subscribers can expect to receive an email with details about their account and the refund process in the coming week. A growing number of Hollywood and U.S. media companies have backed out of business deals with Saudi Arabia and the crown prince, known by his initials MBS, after Turkish officials concluded that journalist Jamal Khashoggi was murdered by Saudi operatives inside the Saudi consulate in Istanbul on Oct. 2. Here is a list of Hollywood and media deals with Saudi Arabia — and where they stand now. British entrepreneur Richard Branson announced he would step down as chairman of Virgin Hyperloop, a planned supersonic transport system in the United Arab Emirates and other countries, CNBC reported. Leading D.C. lobbying firm representing the Saudi government’s interests, the Harbour Group, announced on Oct. 11 it was terminating its $80,000-a-month contract with the kingdom. WME parent company Endeavor, one of Hollywood’s top talent agencies, said on Oct. 15 it was preparing to withdraw from its $400 million financing deal with the Saudi Arabian government. Actor Gerard Butler pulled out of a trip to Saudi Arabia to promote his new movie “Hunter Killer” following Khashoggi’s disappearance. 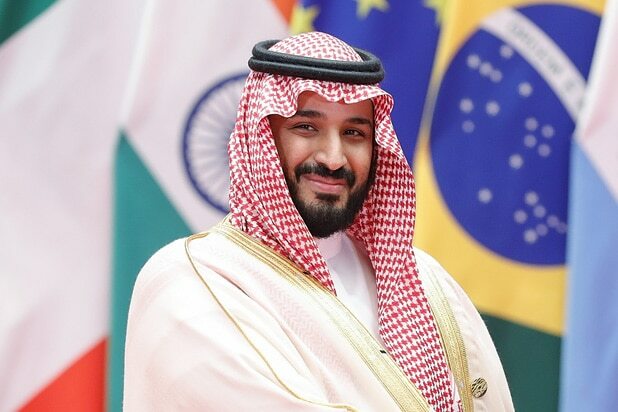 The New York Times, Bloomberg, CNN, CNBC, The Financial Times, Nikkei, The Los Angeles Times, Fox Business Channel, Viacom and The Economist are among the names that have withdrawn their sponsorship or canceled their appearances from the high-powered Future Investment Initiative conference in Riyadh, dubbed “Davos in the Desert,” to be hosted by the Crown Prince and the kingdom’s sovereign wealth fund in late October. The movie theater chain has plans to open 40 theaters in the kingdom within the next five years, with the aim to reach 100 locations by 2030. AMC declined to comment when reached by TheWrap. In February, Penske, which owns Hollywood trades Variety and Deadline, among other publications, received a $200 million investment from Saudi Arabia’s Public Investment Fund. The company declined to comment about whether it will reassess the investment. WWE, which is due to return to Saudi Arabia on Nov. 2 for its “Crown Jewel” wrestling event, told TheWrap in statement that it’s “currently monitoring the situation.” An insider also told TheWrap WWE talent have been instructed to promote the event — but not its location — for two weeks now. Plans for IMAX to build more movie theaters in the kingdom, which have been mired in red tape, will likely be put on “pause” following Khashoggi’s disappearance, according to a person with knowledge of the situation who spoke with TheWrap. This Dubai-based movie theater chain — not to be confused with media outlet Vox — often received revenue from rich Saudis who traveled to Dubai on weekends while KSA’s cinema ban was in effect. They, along with AMC, got the inside track on negotiations to build cineplexes in the country and are currently the only two chains with the license from the government to do so. Vox declined to comment. The company told TheWrap it had not signed any deals with the Saudis to bring international events, including “Disney on Ice,” “Disney Live,” “Marvel Experience” and “Monster Jam” to the kingdom, but that it was “still in conversation” with the kingdom. The company did not wish to comment further. In March, the Florida-based luxury movie theater chain had announced it had partnered with Saudi firm BAS Global Investments Co. to develop cinemas and restaurants throughout the kingdom. An iPic rep told TheWrap Wednesday that it had “no further updates” on the deal. In April, National Geographic announced it was partnering with the General Entertainment Authority of Saudi Arabia to develop and launch several locations for its walk-through virtual-reality zoo. Reps for Nat Geo told TheWrap they “don’t have an answer yet” on whether the partnership will continue. The iconic live entertainment brand had its first performance in Saudi Arabia on Sept. 23, just before Khashoggi went missing. It is unclear whether the company has any more performances planned in Saudi Arabia. Reps for the company did not respond to a request for comment from TheWrap. The performing arts, social media, and festival and events management company signed a letter of intent to bring large-scale festivals to the kingdom. A rep for IMG told TheWrap that the deal went “stale” shortly after it was signed, following “changes” in the monarchy’s 2030 Vision campaign.